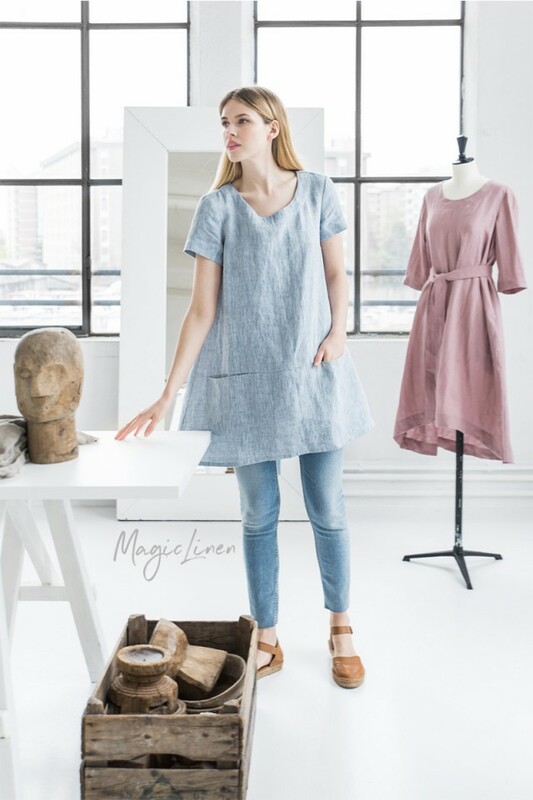 Linen tunic available in all MagicLinen colors. 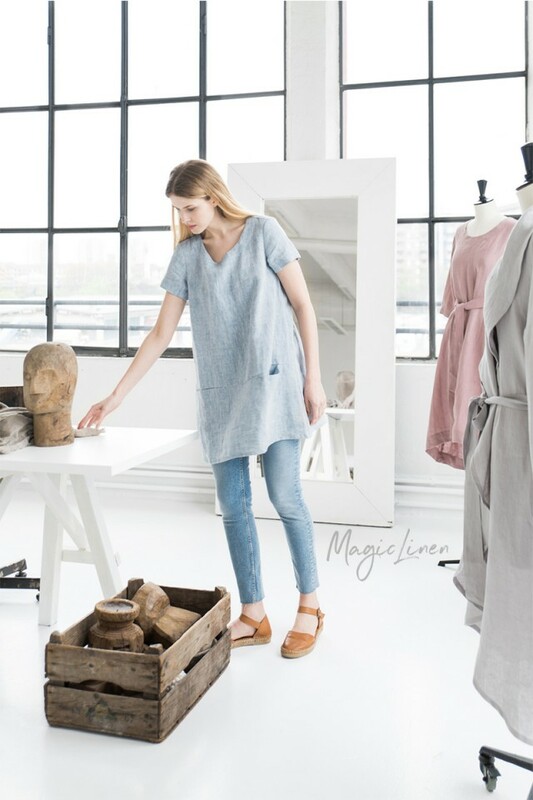 Designed to have a relaxed fit, this A-line tunic top features short sleeves and two roomy pockets in the front. 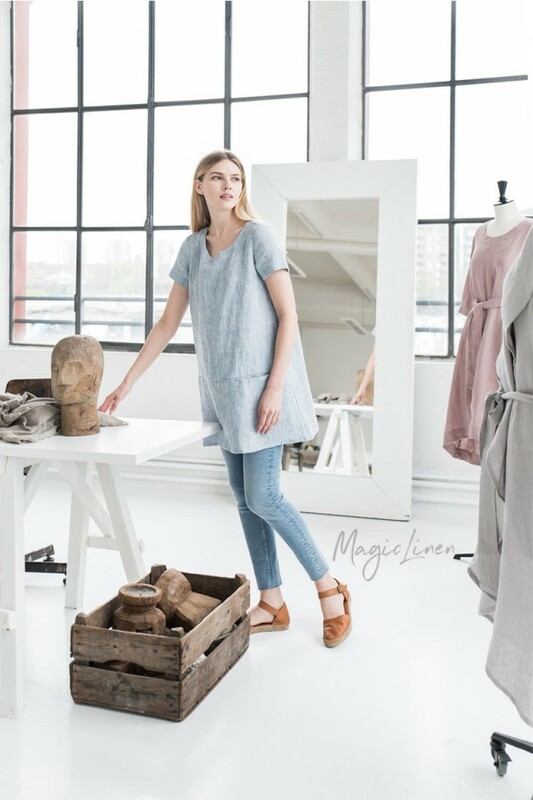 Style it over jeans, shorts, leggings or swimwear in the summer. It's breathable, soft, and super comfortable!